Barbados has recorded another road fatality. Police are continuing their investigation into a serious accident which has resulted in the death of a 37-year-old St. John man. He is Adrian Goddard of College Savannah, St John. Goddard was the driver of a motorcar which was involved in a collision with another motor car being driven by Ron Brathwaite 29-years, of Charnocks, Christ Church. This collision occurred around 11:59 pm on Tuesday, January 24th, along Woodbourne Road, St Philip. Both Goddard and Brathwaite were rushed to the QEH by ambulance with head injuries, with Goddard being the most serious. Brathwaite was later treated and discharged. Goddard succumbed to his injuries sometime after 3:00 pm on Tuesday, January 31st. Police are appealing to anyone who may have witnessed this accident to contact the District ‘C’ Police Station at telephone 4168200 or 4168201. Four people were injured in an early morning accident at Pinder’s Bottom, St George. Roseann Griffith, 49, of Brereton, St Philip, had to be freed with the Jaws of Life when her motorcar and another driven by Kadeem Stoute, 20, collided around 5 a.m.
Police have confirmed that 18,100 marijuana plants were seized in a raid that stretched from Sealy Hall bottom in St. John to Conset in College Savannah. It was described as a massive operation. A massive drug seizure at Fortesque, St.Philip/Seay Hall, St. John on Wednesday, 30th September:Word on the street is that police swooped down on a marijuana FARM and spent sometime freighting away many plants, drums and hoses; some say it could be as many as 1000 plants. Seems as though it was a large operation. A teenaged man is set to appear in court tomorrow to answer four drug charges.Neco Adisa Asan Pinder, 19, of College Land, St. John will appear at the District ‘C’ Magistrates Court to answer the charges of possession of cannabis, possession with intent to supply, trafficking and cultivation of cannabis. He was arrested on Friday, after police on patrol investigating suspicious activity at Blades Hill encountered Pinder and seized 94 lbs of cannabis plants. Some of the plants were found under cultivation in an enclosure and some were found drying in a structure. Wednesday night, 12th August, a burglar broke into Bandy's shop next to the St. Mark's Primary School. When a check was carried out it was found that a number of coins were taken. A call was quickly made to another shopkeeper alerting of this and asking that an eye be kept for anyone trying to change coins. The shopkeeper then informed that someone of dubious character had already done so. This was drawn to the attention of the police who quickly went in search of the suspect. While looking for the suspect the police walked by a house in Blades Hill #2 and were reportedly met with the strong odour of marijuana. They then diverted their attention to the house and were later seen removing a number of tall marijuana plants. A youngster, not the owner of the house, was taken away in handcuffs. The owner was not at home at the time of the incident. Imagine, only two days ago Minister Dennis Kellman likened gun crimes in Barbados to throwing big rock and fighting with sticks. out? It was not my sheep nor was it the Sabbath but I did it anyway. The body of Vincent Layne was found in a car near Bushy Park Cemetery. Vincent Layne lived at Farm Road, St. Philip; close to Six Roads.He was the farmer whose two sons drowned in a pond on the farm some years ago. He was a regular caller to the call-in programme, Brass Tacks. There was a shooting at Fortesque in the early hours of Sunday morning. Apparently JB Barrow, son of Frank Barrow, was shot in the leg while on his way home from a fete at Mamee's Pot and Bar. No other information is available at this time. UNBELIEVABLE! FRIGGING UNBELIEVABLE: 1:10 P.M; JULY;SUMMER VACATION ; not one single swimsuit or bathing trunk was to be seen at MIAMI BEACH; not a beach chair; not a white skin sun-tanning on the beach. 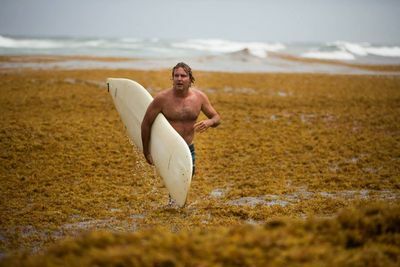 The area usually populated by local black bodies frolicking merrily is instead covered by a brown sinister looking sargassum seed weed about 25 yards out to sea. The only sign of life, a few birds walking across what now looks like a solid land mass. The sand is completely cove...red and made to look worse by the effects of the heavy duty equipment that lost the battle some time earlier. The eastern side which is usually populated by tourists is just as bad. You have got to see this to believe it. The pictures on facebook do not reflect the reality of Miami Beach. For the time being Miami Beach is no more. The vendors are still there hoping to get a sale from unsuspecting persons who turn away in disbelief. when it went down, tossing all 30 plus on board into the sea. All of the party animals and crew were rescued. nd charged. Miller is formerly from St. George. handing over the money after the men shot Cossey in the foot. spoke with a foreign accent. Two young men jointly charged with causing serious bodily harm were yesterday (Friday 13 March, 2015) remanded to HMP Dodds for a month. Chad Robinson 17, and Ashaye Prescod,16, both of Bartletts Tenantry, Sargeant's Village, Christ Church were charged in a matter in which the complainant's skull was fractured in seven places. The complainant is 16 years old. Chad Robinson is the grandson of Clyde "Volley" Brathwaite and lived in Blades Hill for many years. Barbadian opening batsman, Omar Phillips, was knocked unconscious on Friday (5th November) while playing against the Windward Islands, in St. Vincent at the Arnos Vale Sports Complex.Phillips at the time, was the non-striker when a ball struck by his partner, Shai Hope, ricocheted off his bat and smashed into his helmet. He fell to the ground unconscious. Phillips was taken to the hospital where he later regained consciousness. A CT scan showed no damage.This comes on the heel of the death of an Australian batsman and an Israeli umpire from being struck during separate games. 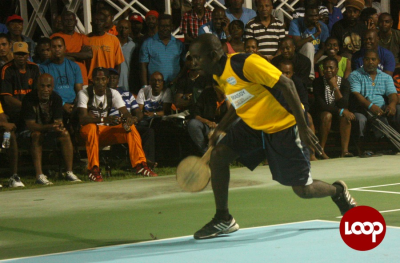 Road tennis is finally making it big in Barbados. The game that we played in the tar road 50 - 60 years ago is now attracting national attention. The courts are well marked out and painted; the players well dressed and yes, prize money is at stake. The last competition paid $12000.00 dollars to the winner. The crowds are bigger than at test cricket and the games are attracting television coverage. Things are really looking up for our indigenous game. briefs which are visible for all to see. However, it is time that something is said about the appearance of our females. No woman should be allowed to leave home looking so ridiculous. Doesn’t anybody tell these women how horrible they look? To be honest these women look just as horrible as the men who walk around with their underwear showing. The good old Bajan accent may soon become a thing of the past. A new accent that is creeping in among the Bajan middle class. Wherever you go these days you can hear expressions such as ‘yas’ for yes, ‘I gas so’ for ‘I guess so’, ‘I am blassed’ for ‘I am blessed’, ‘axpras’ for ‘express’, ‘ the bast of the bast’ for ‘the best of the best’ and ‘9.30 p. am’ for ‘9-30 p. m’. Gradually this grouping is replacing every possible ‘e’ with the letter ‘a’. These expressions are accompanied by a new sing-song intonation to boot. different level. In this grouping a horse is now a ‘harse’, second form is ‘second farm’ and Jordan’s Supermarket is ‘Jardan’s Supermarket’. This change is highlighted on page 73 of the book “From Bajan to Standard English” and was raised by Mavis Beckles in her Saturday Sun column.
. The vehicle he was driving was extensively damaged. The well known Frankie's Bar which is situated opposite the Airport was gutted by fire last night (Wednesday, 8th Jan. 2014) The popular retaurant was owned by Frank Barrow of Blades Hill #2, St. Philip but was on lease for the past three years. The body was found near the blue garbage bin but was apparently dragged from past the mahogany tree to that location. The St. Mark's community experienced a quiet and uneventful Xmas. Rain fell for most of the day, keeping most people in-doors. With economic uncertainty facing the country for the new year, most persons were cautious with their spending and there was hardly any fanfare as the season slipped quietly by. Proprietor of the Feed Depot in Blades Hill #2, Kenneth 'Bob' Clarke was attacked on Saturday 7th December as a bandit tried to rob him. It is reported that Bob was enticed out of his house so that the attempted robber could pounce on him. In the attack, Bob was struck in the head and on his arm with a gun. It is said that the gun was rusty. Neighbours heard Bob screaming for murder and rushed out in time to see the man on top of him on the ground. Shouts of one neighbour scared off the attacker. This is the third time that Bob was put through such an ordeal. Blades Hill woke up this morning July 4th, to the grim news that one of its residents was dead. Dead was Jefferson HArewood who hanged himself apparently. Jefferson was found by his mother Sandra HArewood with whom he lived. Jefferson's two primary school aged children also lived at the house which is situated about 75 yards from St. MArk's Primary School. At present one can only speculate about the reason for this twist of fate. My long awaited book, Train Up the Child, is only days away from publication. It will be on Amazon. I look forward to the support of all when it hits the stores. Three of Volley's sheep were stolen from their pen on Monday night 25th Feb. 2013. However, they werer recovered not far away to the east side of Three Houses Hill in a neibour's pen. Other missing sheep were also found there.Talking bout sheepish behaviour!! Serious Accident: Ronald Greenidge of Blades Hill was involved in a serious accident Sunday 17th.June when the van he was driving ran off the road and smashed into a tree at the corner of Palmers and Supers roads. He was heading in the direction of Sealy Hall.He was taken to the Hospital with injuries to the head and remains in ICU. Two Blades Hill Men among five charged with several crimes including aggravated robbery, kidnapping and possession of a firearm. RandyBrathwaite of #1 and Junior Taitt alias PP of #2 were charged yesterday June 8th. 2012. A young man from Wiltshires was charged with robbing Kenneth"Bob" Clarke earlier this year. Aunty Olga is dead @ age 92. Rihanna boasts in her hit song “Hard”, that “That Rihanna reign just won’t let up” and in 2010 she makes good of her boast. The following are some of her major achievements for 2010. February – She wins two Grammy Awards – Best Rap Collaboration and Best Rap Song (Run dis Town). August – She scores her seventh #1 (Love the Way You Lie). She also sets a record with this hit on Youtube – 6.6 million hits in twenty-four hours. November – Rihanna lands her eighth #1 (What’s My Name). This places her 5th among females in the Hot 100’s 52 year history, behind Mariah Carey (18); Madonna (12); Whitney Houston (11) and Janet Jackson (10). She sits at number 10 overall. “What’s My Name” lands at #1 on Digital Songs Chart – her 9th number one on this chart, the highest number since the chart began. Rihanna scores big with “Only Girl in the World” - her ninth #1. This hit was #1 in over ten countries. This gives her the most #1’s for the new millennium. Rihanna becomes the first female artist ever to hit the top spot four times in a calendar year.The last artist, male or female, to achieve this feat was Usher in 2004. November 22 – Rihanna is proclaimed the “Undisputed Queen of Pop”, landing the most #1 pop songs ever on this chart (7) – surpassing Lady Gaga, Mariah Carey and Beyonce. December – Rihanna is named the Queen of the Social Media as she lands at #1 in a new chart, “Social 50”, released by Billboard. Rihanna creates history in the U.K. She becomes the first female in over 50 years tohave three songs in the top ten at the same time (Only Girl, What’s My Name and Who’s that Chick). This was previously achieved by Vera Lynn in 1952. “Loud”, Rihanna’s 5th Album climbs, to #1 in the U.K, Canada and on the World Charts with sales of over 2.2 million in six weeks. Barbados' new Prime Minister Freundel Stuart is from Marchfield, St. Philip. He attended St.Mark's Primary School, Blades Hill, St. Philip. He still comes to Blades Hill to get his hair cut by William "Wills" Weekes. Reports reaching this site reveal that a College Savannah woman collapsed and died on the College Savannah / Oistins bus this morning( 4th October). She apparently lived on the bay hill. She is the third person from the bay hill to die suddenly in recent months. More details as information comes to hand. 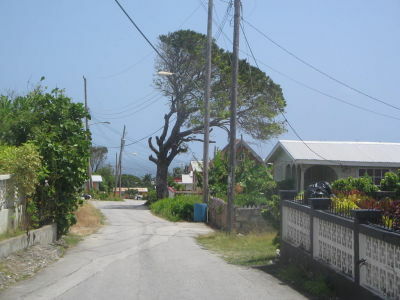 Sewage Water Woes in Blades Hill: The residents of 2nd Avenue Blades Hill are extremely frustrated about the wastewater problem that has been plaguing their community for over a year. The HEAT visited the area to see first hand what the residents have been experiencing. Top Award for Arthur: Former Prime Minister Owen Arthur was honoured yesterday with the Barbados Labour Party's highest Award - the Grantley Adams Award. Mottley: Stealth tax: Leader of the Opposition, Mia Mottley, yesterday denounced the "massive rise' in land tax bills as an unannounced "stealth tax". 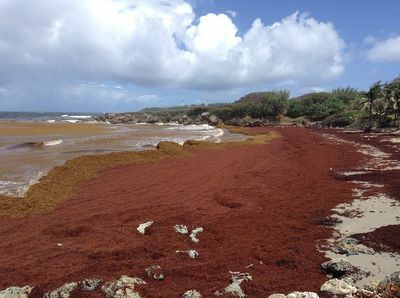 Landowners have seen steep hikes in their bills - doubled in some cases......(Also) Mottley pointed out that in January when crude oil was $104 per barrel, Barbadians were paying $2.16 per litre for gas and $1.46 for diesel but now with oil at $64 per barrel, they were paying $2.25 for gas and $2.18 for diesel. Rehab centre for students soon:(Barbados); Plans are afoot to establish a new rehabilitative facility for disruptive students. According to Minister of Education , Ronald Jones,"The institution will house from 100 to 150 students in an environment specifically designed to bring about a transformation in children who thrive on being disruptive". St. Philip Festival going National: Organisers of the St. Philip Festival Season are looking to make it an event with national appeal. According to a spokesperson, a number of innovations will be in place for the season that opens October 1 and climaxes with the carnival on December 1. The festival will be officially opened October 11 at Rices Playing Field at 5 p.m. following a motorcade at 11a.m. New features for the season include a soca lime and craft fair at Bayleys, St. Philip in November and selected weekends and at the end of the big jump-up on Carnival Day at King's Park, revellers will be cooled down with live performances from some of the major names in local entertainment.The festival has attracted three bands from outside of St. Philip. There have been 22 visitors (47 hits) to this page today. Updated and current.